Are you ready for spring? We stopped by the Forest Park Community Garden today, and while the garden is in need of spring cleaning the tulips were breaking through the earth and reaching up. That can only mean that spring is really close. Join us for the first garden event of the season and check out our new seed selection. The 6th Annual Forest Park Community Garden Seed Swap is on March 13th from 2-4 PM. As always, our host for the event is St. John Lutheran Church at 305 Circle Ave. We will meet in the gymnasium of the church, which can be accessed via the parking lot. Our seed swap is free if you pre-register. The cost is $2.00 at the door. Ultimately, a seed swap is a great way to build community and make friends. We get together and swap seeds that we saved from gardens last year and we share extra seeds that we may have ordered from seed catalogs. Ideally, yes! Bring seeds you saved (label them and put them in small paper envelopes), seeds you bought that you have a lot of, but we will also have seeds for sale that you can use as your entrance into the seed swap. What kind of seeds do I need? Heirloom seeds are the best seeds to share because they can be replanted every year. But we don't discriminate and we do allow hybrid or GMO seeds. But, again, we will have seeds available for purchase if you don't have any. What time does the seed swap start? 2 PM is the time to check-in your seeds and put them on the table. You will have some time to browse the seeds available and get an idea of what you would like to pick up in the swap. This year our friends at The Hudson Valley Seed Library gifted us a few seed packets. This inspired us to buy some more seeds and freshen up our selection of seeds. So if you have been to the swap before, and you're not sure about attending this year, please note that we will have a lot of new varieties. So come check out all the new seeds we have available this year. 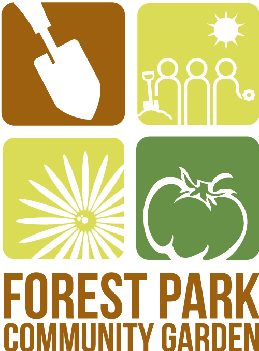 Do I need to be a member of the Forest Park Community Garden? No. We welcome all gardeners. You don't even need to live in Forest Park. 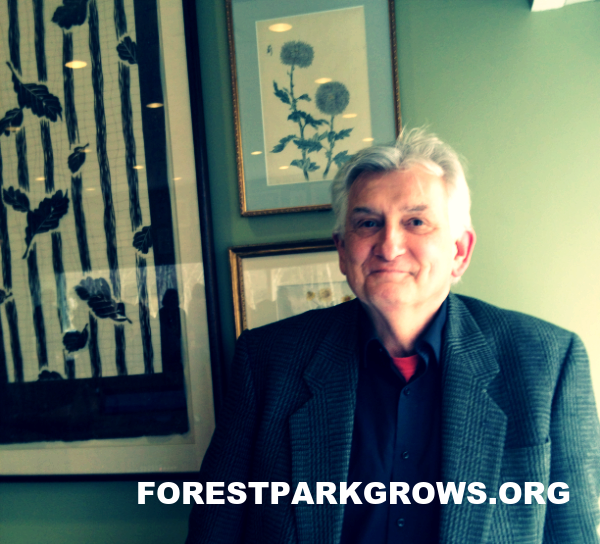 Gardeners from Oak Park, River Forest, Maywood, Berwyn, Cicero and surrounding suburbs are all welcomed. You can even be a gardener in Chicago! Sound like fun? Pre-register and we will see you on March 13th! If you would like to volunteer to help us setup the seed swap, or with the St. Patrick's Day Parade, send Jessica an email. We're always looking to make new friends. Have you heard the story of The radio host and the homeless addict? Last week a story Mike Nowak posted on Facebook went viral on the internet and made it to the front page of the Chicago Tribune. You Should read the story! Mike Nowak has agreed to be our guest speaker from 3-4 PM. He will also have copies of his book Attack of the Killer Asparagus available for sale for $12. 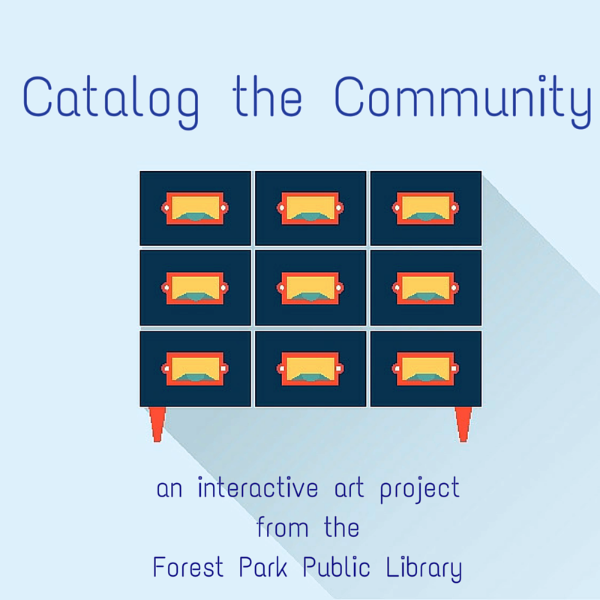 The Forest Park Public Library will be at the seed swap on March 13th with garden book recommendations and their interactive art project 'Catalog the Community.' We have partnered in years past with the library and we're happy they will be joining us at the seed swap. Follow us on FACEBOOK TWITTER INSTAGRAM for update on the seed swap. 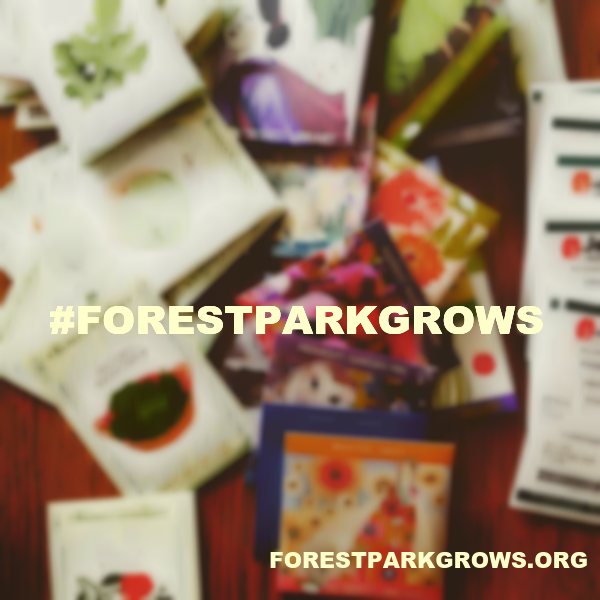 Use the hashtag #ForestParkGrows to show what seeds you are interested in finding and what seeds you are bringing.